What can I say. I'm extra and indecisive and there are 15 lipsticks in this favorite lipsticks post. This post is just about lipsticks too and I didn't even include lip tints, oils, gloss, and etc. Yeah, I have a problem. Lipstick is probably my favorite makeup product and it was the first thing I was obsessed with when I first got into makeup. While I do have other favorites, these shades and/or lines are the ones I usually look at first before narrowing it down even more depending on my outfit. 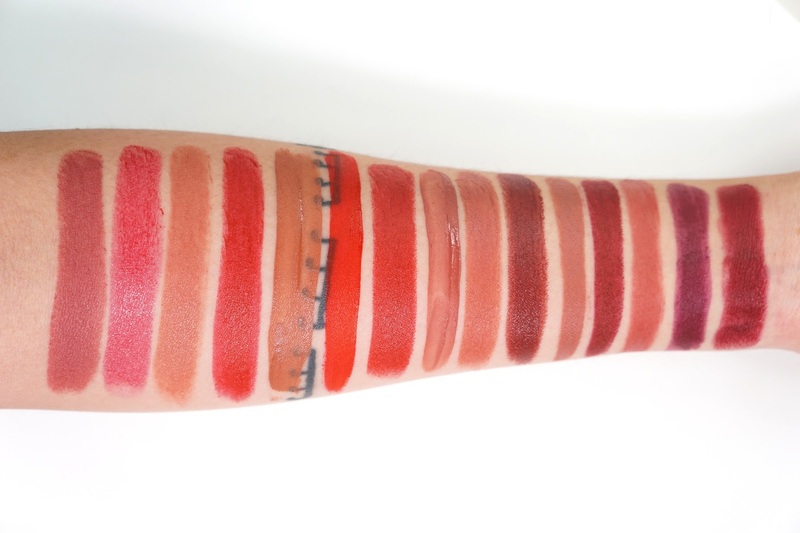 Swatched in the same order as listed above! 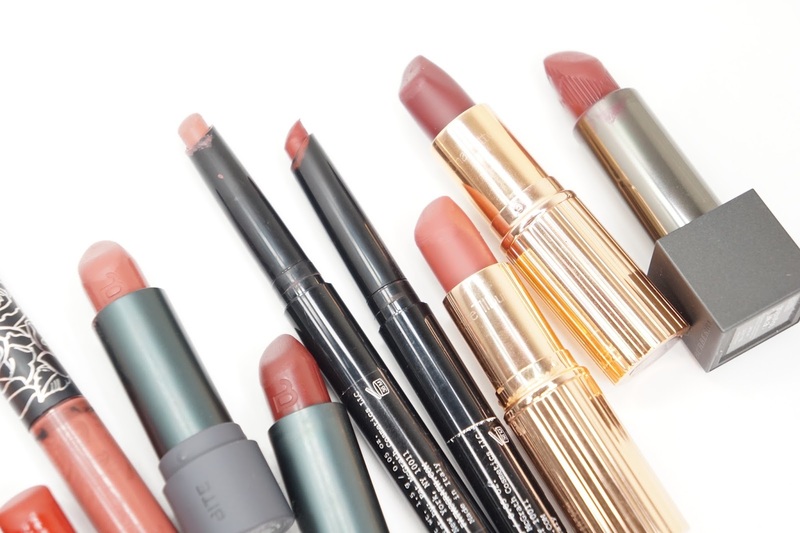 In terms of favorite overall formulas, I'm a huge fan of the Etude House Dear My Blooming Lips Talk Chiffon Lipsticks and the Bite Beauty Amuse Bouche Lipsticks. I've collected multiple colors from both lines and they've all been consistently great. I put my personal favorites in this post that I reach for most often, but I know I'm making a good choice no matter the color in these two formulas. For a daily red, I really love the Tony Moly Perfect Lips Lip Top Lipstick in RD05 Hyuna Red since it's more sheer but also on the darker side of reds. There's a bit of purple in it as well and so it leans more to the darker almost vampy red that is my preferred tone for reds. For my skin tone, this makes it more wearable and it also helps that the gel like formula feels super comfortable on my lips. Another red that is a go-to red for me is the MAC Cosmetics Viva Glam I Lipstick! It is a brownish brick red shade and looks perfect with every look I do. It's not too dark so I can still wear it during the day and it's also not too bright to be too in your face. My love for liquid lipsticks have slowly been dwindling but it's because my lips have gotten more sensitive. Even so, I've still been wearing the Pony Effect and Kat Von D liquid lipsticks and they've been working wonderfully! The thing is, the darker shades do look more streaky and uneven though and so I've been sticking with the more light or mid tone shades. Personally, I do like the Pony Effect liquid lipsticks more but it's because of the condition of my lips but they don't last as long as the Kat Von D liquid lipsticks. The Charlotte Tilbury Matte Revolution and Burberry Lip Velvet lipsticks are definitely high up in my luxury / high end favorites. I now have a couple of shades from both lines, but the three in this post are the ones I go to the most. Bond Girl is the shade I recommend to anyone and everyone who wants to invest in one luxury lipstick item though since it's a beautiful shade that can fit everyone. I do have some problems with the lighter colors in the Matte Revolution line that I've tried though. They look patchy on me and somehow emphasize my dry patches, but that doesn't happen with the darker shades. Lastly, the Pat McGrath Lust 004 Lipsticks are super pigmented and long lasting, but they can be drying and that's a huge part on why they're not holy grail status for me (and they're also limited edition). Honestly, these lipsticks last as long as matte long wearing liquid lipsticks for me and I'm always impressed with them whenever I wear either shades. I've tried to be really brief in this post, but lipsticks are my favorite and I could probably go one for a full month of posts. 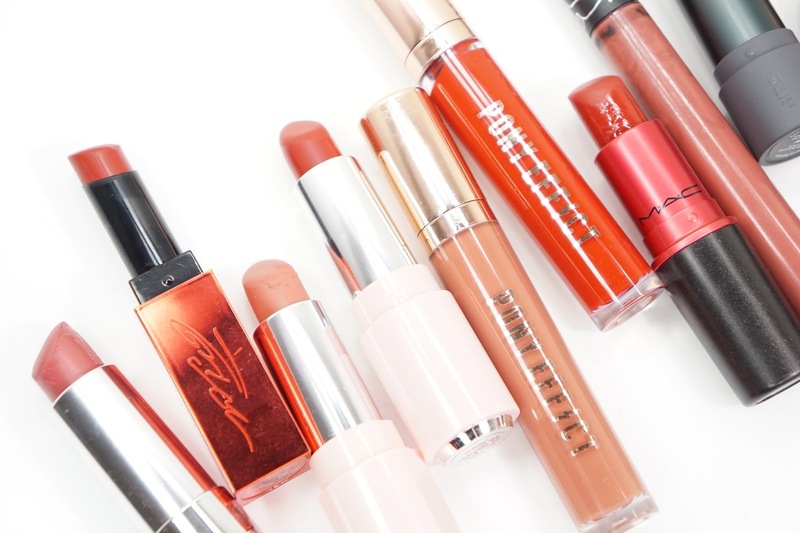 Have you tried any of these lipsticks? 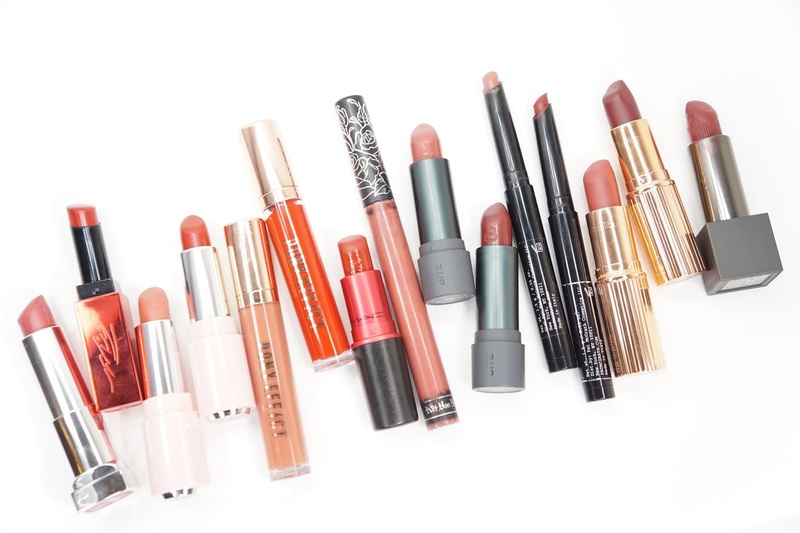 What is your favorite shade and/or lipstick line? Makeup Party: Cut it Out!